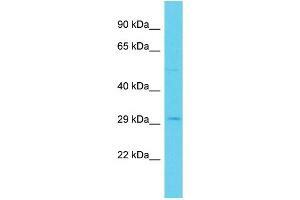 Characteristics This is a rabbit polyclonal antibody against PSMG2. It was validated on Western Blot. Background PSMG2 is a chaperone protein which promotes assembly of the 20S proteasome as part of a heterodimer with PSMG1. The PSMG1-PSMG2 heterodimer binds to the PSMA5 and PSMA7 proteasome subunits, promotes assembly of the proteasome alpha subunits into the heteroheptameric alpha ring and prevents alpha ring dimerization.